A heart-warming story of how an injured hawk, no longer able to fly due to a gunshot and broken wing! Sunshine (the Hawk) lays infertile eggs every spring and still attempts to hatch them. 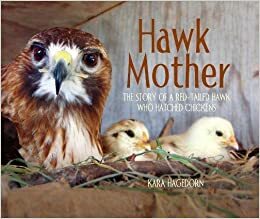 Each year her caretaker, Kara (the author), takes the eggs away which confuses Sunshine. One year Kara gets an idea and gets chicken eggs from her neighbor. Sunshine sits on those eggs as if they are her own, hatches them, and then raises the chicks as her own young. For readers who love Little Pink Pup, Owen and Mzee, and other books that celebrate relationships of unlikely animals, you will love reading this nonfiction picture book. Remember reading Take Away the A? Well, the author of Take Away the A has a new book in his series: Where’s the BaBOOn? It encourages students to put together the red letters to solve the riddle on each page. For example, the riddle reads “Who brought an apple?” The illustration shows the arm of an ape giving the teacher the apple. Students put together the letters a – p – e and the clue from the illustration to know it is the APE that gives the apple. Each page is one riddle after another. 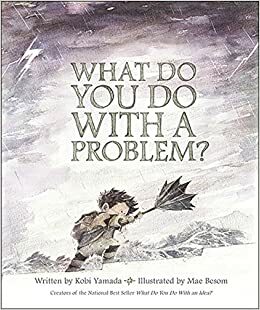 A young boy is plagued with a problem–appearing as a black cloud–that won’t go away by worrying about it or avoiding it; it only grows bigger. The boy finally finds the courage to face the problem and learns its secret: It contains an opportunity to learn and grow. Talk about problem solving with your students using this lesson plan. Inspiration for creating Hopes and Dreams. 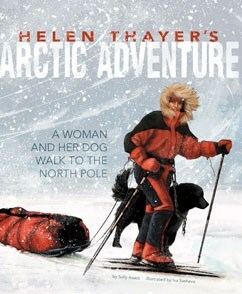 Helen Thayer had a specific goal in mind: she wanted to trek to the magnetic North Pole. Nothing was going to get in her way. She trained; she studied; she prepared. She worked toward her Hope and Dream of becoming the first woman to travel alone to the magnetic North Pole. Many things did not go as planned for Helen Thayer on her trek to the magnetic north pole. She had to think on her feet to solve many problems only using the supplies she packed along with her. You are currently browsing the archives for the Problem Solving category.